After fighting a lot with net command I came to conclusion that we can map a domain default share using net use command. 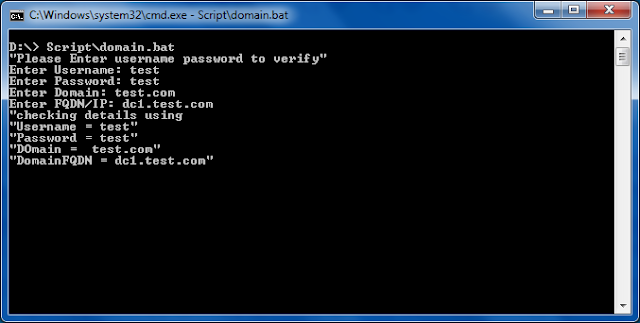 So simple script which try to authenticate with given credential to domain using net use. Note :- password is not masked in script.